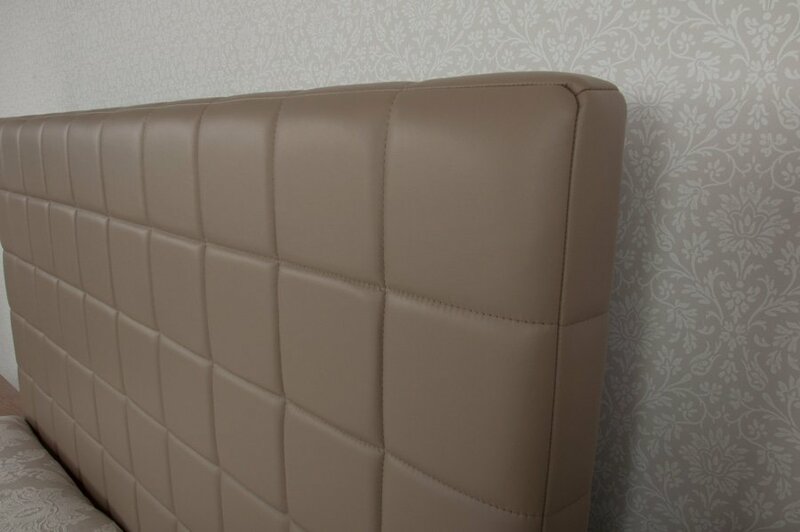 The leather on this headboard is quilted with a layer of padding. This process is undertaken by stitching all the layers together at once with a decorative horizontal and vertical stitch pattern. 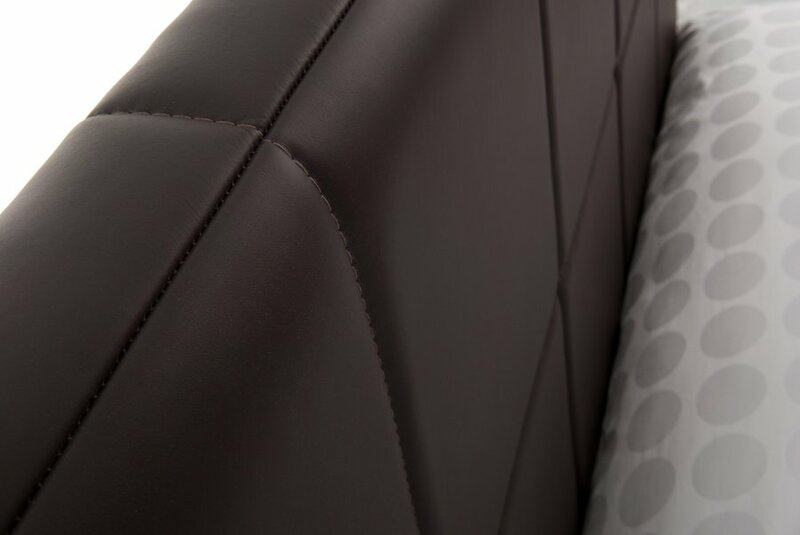 Once the entire cover has been sewn together, it is upholstered over more foam that adds the depth and comfort. 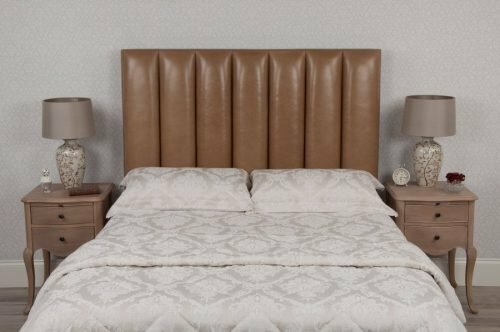 The results give the headboard a well proportioned chunky look with nice rounded edges. Soft and comfortable to the touch with a pleasant and attractive appearance. 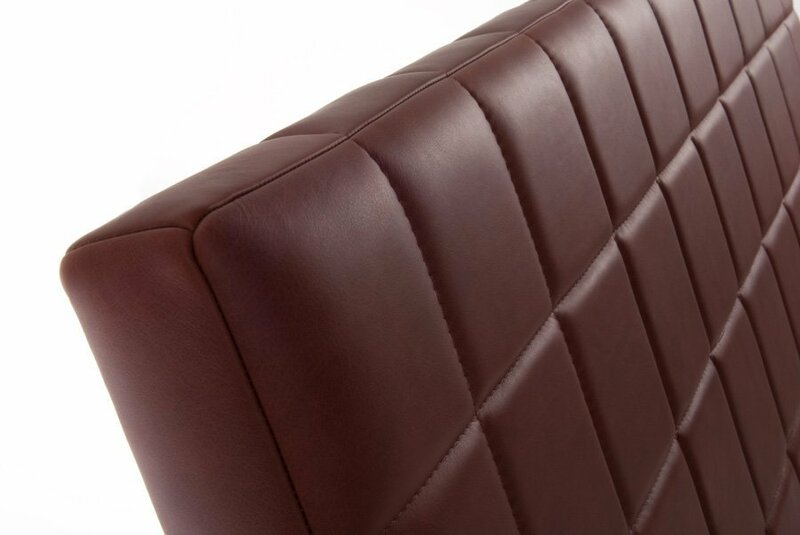 You can order leather samples beforehand and they are refundable in full including postage upon making a purchase. Alternatively, we can send you a selection of samples when you place an order and make a change if required. All headboards come with a wall mounting kit as standard. 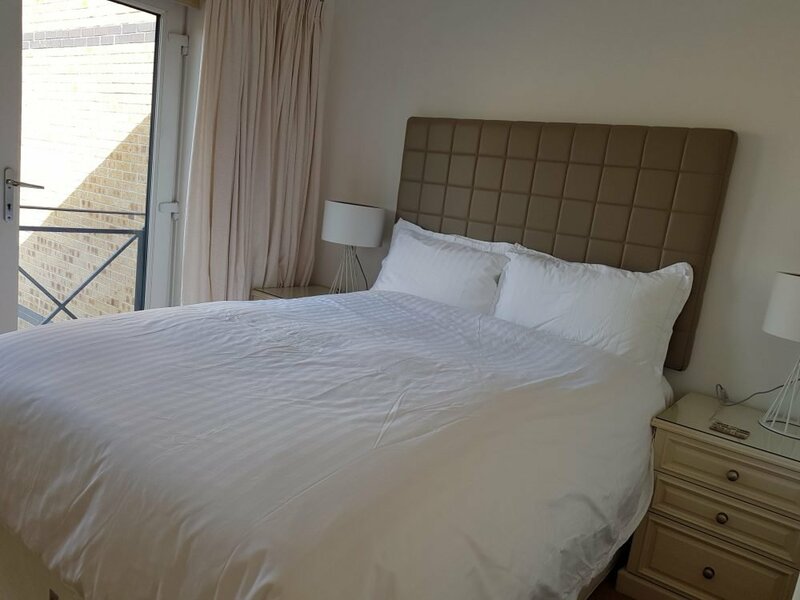 However, if you wish to attach it to your bed, you will require wooden struts which are available separately. More details on fixings. 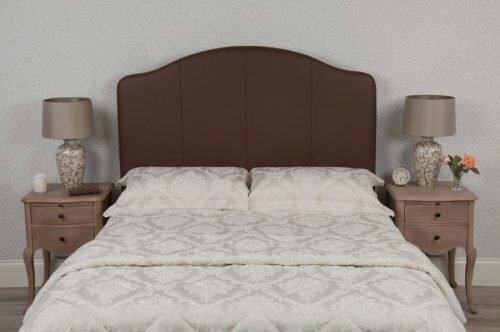 Our products are made to order and come with a 4 week delivery guarantee, but generally arrive in 2-3 weeks. 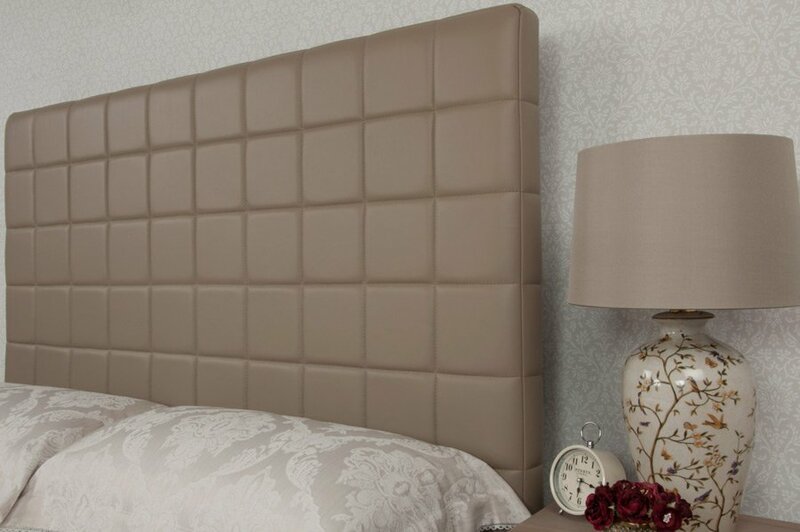 If you need your headboard to be an exact width and height, no problem, obtain a price and order now. 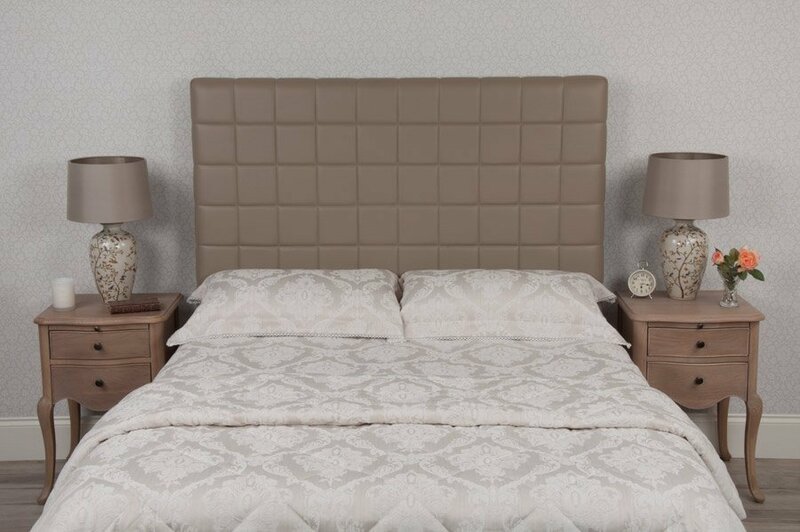 Love my 8th headboard as much as the previous ones over the last 9 years. All superb quality and made in my home county of Yorkshire.